On 13th of November, 1922, Oskar Josef Bschliessmayer was born in the Marchettigbasse 1A in Vienna Gumpendorf (a part of the 6th district of the city, not far from the place where Johann Strauss was born.) His parents were divorced when he was 6. His mother supported them by working in a hat factory. In his childhood he spent much of his time with his grandmother who told him stories of the Burgtheater, the Austrian State Theater. He attended grade school and the six-form high school (“Realschule”); his first stage role was in a school play. Before he went onstage he thought that, since he wanted to become an actor he should remember his first line. He played a fireman and his only line was “Where’s the fire?”. Other than this he had no acting instruction. His Uncle Franz provided some small “walk-on” parts in such films as “Geld faellt von Himmel”, “Hotel Sacher” (in which he played a bellhop) and “Leinen aus Irland.” For some speaking roles on the radio he received speech instruction from Helmuth Krauss. He appeared in the cabaret “Der Beisskorb” and in the theater “Die Komoedie”. He left school without graduating. At the age of 18 he was accepted by Lothar Muethel to the Burg Theater. He was the youngest actor ever to have received such an honor. He made his debut under the stage name “Oskar Werner” on the 11th of October,1941. On the 3rd of December, following his 19th birthday he was drafted into the Wehrmacht. A dedicated pacifist and anti Nazi, he hated his uniform and hated himself. In what may have been the greatest performance of his life he convinced his superiors that he lacked the capability to become an officer by pretending to fall from his horse and making deliberate mistakes in operating cannons. So, instead of sending him as an officer to the Russian front, the army put him to work peeling potatoes and cleaning latrines. So, despite military service, Werner was able to gain further experience on the stage of the Burgtheater. He marriage to a fellow performer, Elizabeth Kallina had to be kept secret because she was half Jewish. The Gestapo was watching them closely. In 1944 their daughter, Eleanore, was born. He signed with Karl Hartl for the film “The Angel With The Trumpet”, the story of a Viennese family of piano makers. He played the dissolute “black sheep” of the family. Following this he went to England to play his part for Alexander Korda’s English version of “The Angel With The Trumpet”. Having left the Burgtheater without permission he was dismissed from the Burgtheater Federation without notice. He and Elizabeth Kallina were divorced at about this time but remained lifelong friends nonetheless. After this he appeared in the films “Ein Laecheln im Sturm” and “Entfuehrung ins Glueck” until the beginning of the year. At this point, having been discovered at a party by director, Anatole Litvak, he signed a contract with 20th Century Fox to play the lead in his first American film “Decision Before Dawn”. After this film, he returned to the stage of The Theater In The Josefstadt playing a prince in “Leocadia.” He appeared as a guest artist at the Burgtheater in “Gesang im Feuerofen”. He stated in a broadcast at this time Max Reinhardt’s “speech over the actor” and this became his artistic Credo. With an architect friend he designed and built his home in Triesen, Liechtenstein. It was there, in seclusion, that he learned his lines for “Hamlet” while hiking the mountain paths. He felt “that in Hamlet (he) had found a twin.” He signed the contract on his 30th birthday. “Hamlet” was to become his greatest role. In 1954 he married Anne Power, daughter of French actress, Annabella, and adopted daughter of American actor, Tyrone Power. On the occasion of the reopening of the Burgtheater he played the title role in “Don Carlos”, and, again appeared as “Hamlet” in The Theater In The Josefstadt under the direction of Lothar Muethel. The Theater Ensemble Oskar Werner went to the Innsbruck Drama Festival with the pieces, “Kabale und Liebe” as well as “Weh dem der lügt”. Following the festival the group went on tour with both productions. Following this Werner was called to return to the Burgtheater by Ernst Haeussermann. There he played “Prince Hal” in Shakespeare’s “Henry IV”, the title part in “Torguato Tasso” and starred as Thomas Becket in “Becket Or The Honor Of God.” He played the title role in Shakespeare’s “Henry V.” and settled the Burgtheater contract. Werner starred as “Orpheus” by Felix Braun with the Bregenzer Festivals. Later he took his Ensemble on tour with “Torquato Tasso”. During this period, his marriage to Anne Power ended in divorce. In 1966 Felix Florian, Werner’s son from a liason with American model, Diane Anderson, was born. During the latter half of the 1960’s Werner made several films. Then, in 1970, he returned to his first love, the stage, starring in and directing “Hamlet” with his Theater Ensemble at the Salzburg Festival. During the 1970’s he spent much time traveling to Israel, Italy, Malta, France and the USA. Coming out of retirement to do readings of “poems against the war” annually, while he was living in Vienna and his summer home in Thallern in the Wachau. Starred for the last time on stage during 1983 in “The Prince of Homburg” in Krems. Commemoration ceremony in the former KZ area in Mauthausen. Sadly the alcoholism that Werner was a victim of through his life was by now, slowly ending it. His last appearances were readings in the Palace Auersperg; a commemoration ceremony for the Jews; and a reading in the large Mozart Hall in Salzburg just ten days before his death. At the start of a projected reading tour of Germany, in the Hotel Europaeischer Hof in Marburg an der Lahn, on October 22, 1984, Werner, saying he felt ill, cancelled that night’s reading. The next morning, October 23, 1984, he was found dead of a heart attack. He is buried in his adopted country of Liechtenstein. 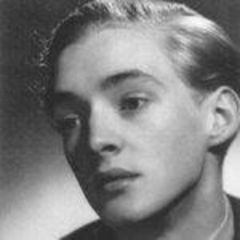 Thank you for this information about the early years of Oskar Werner. I was interested to learn more of his children and whether they were involved in theatre work or not. I just saw Oskar Werner in The Shoes of the Fisherman and remembered that he played in the 1955 Movie by Pabst, in German, “The last ten days of Adolph Hitler. It is interesting that he was so anti Nazi because in the Hitler movie he plays a Colonel who tries to tell Hitler the truth about the devastation the war had caused Germany. Hitler was so outraged that he screamed for help and Oskar was shot in cold blood. His dieing words were “never say yes sir!” when it is a lie. It is a shame that someone with so much talent should be driven to alcohol. If there is a better description of his hiding out in the Vienna Woods I would love to see it. My favorite actor. If anyone is interested there is a website oskar werner online forum. A great place to keep in touch. this was a great early biography. I “discovered” Werner on an episode of Columbo several months ago. He immediately stood out as a very gifted and unique actor. It’s hard to describe his uniqueness…it’s like most actors are “solid” and he is “liquid” – there is a transparency and ease with which he performed that was elevated above craft to the status of pur ‘gift’. Recently saw him in a film called THE SPY WHO CAME IN FROM THE COLD and he was brilliant. So much came from his smallest movements and he just flows. I would suggest to any acting student to study Oskar Werner CLOSELY . Oskar Werner was a high tier actor. I’ve just watched – Decision Before Dawn and was very impressed with his acting and his manner. On a high level, he was intelligent, poised and decisive in his movements acting his part. I was very impressed. In the future, I look forward to viewing more of his movies. I’m sorry his potential was never reached as he had so much to contribute. I pray that he is in heaven resting in peace.